Your home will be more livable with some flower arrangements. Do you know that flowers change the atmosphere in the room? Yes it can make the room look gayer with flowers of warm colors; it can lessen the glare in the room with flowers of cool colors; and it can emphasize a color in the curtains or pictures in the room by repeating it in the color of the flowers. No matter what kind of house you live in a well arranged and properly placed bouquet will always improve the interior of the house. My Mom loves plants and flowers and she preferred fresh flowers than the decorative artificial seen in many department stores. 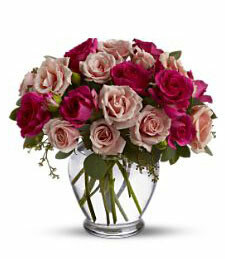 A bouquet of fresh flowers can make her day happy and trust her to keep it fresh as longer as possible. I’m fond of white roses and chrysanthemums so that’s the kind of flowers that she usually have in her vase. 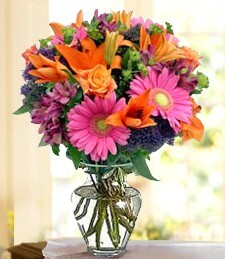 Anyway for extra color and happy ambience in the house it’s best to have different flower arrangements. 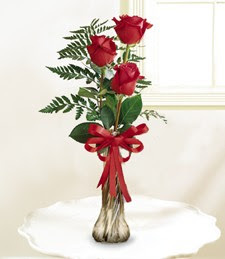 You can have various flower containers and holders depending upon your style and needs.